To survive one mutiny might be considered fortunate, but to survive two is extraordinary. 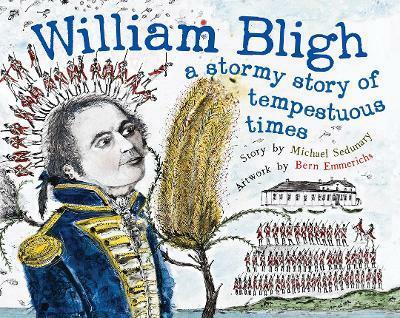 Here is the true story of William Bligh, the man at the centre of the mutiny on The Bounty, and one of the most remarkable figures in early Australian history. Michael is an experienced and successful author who shares his time between Melbourne and country Victoria. Over the past 30 years, Michael has written extensively for children on subjects ranging from Languages Other Than English to AFL football. While his overarching motivation has been educational, story telling has always been central to whatever he writes. Bern Emmerichs is a highly celebrated artist in Australia. Her works are in the Australian National Gallery, the National Gallery of Victoria and collections all around the world. Bern Emmerichs is renowned for her work which explores historical narratives of Australia's First Settlement.